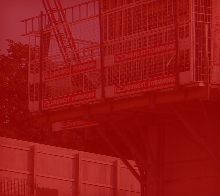 Midwest Formwork (UK) Ltd values its clients and those who enquire to us; in return we respect their privacy. We collect information about you to improve our products and services and to communicate with you effectively in the manner that you would appreciate. Every effort is made to ensure confidentiality of all details, to make sure that the information is used responsibly; all information supplied will not be passed onto any third party. Should your details change and you wish to update them or you would like to review your information, let us know and we will be happy to assist you. You have a right to access your personal data that is held about you. To obtain a copy of the personal information we hold about you, email us at info@midwestformwork.com stating your details. A "cookie" is a small text file that is written to your hard drive sent from the server to your computer. Cookies allow you, the user, to have a better experience as you use the website as it records your progress.